Vibrant photographs paired with text in both English and Spanish make for an engaging read-aloud that kids will enjoy year round! In spring, seeds grow. I want to grow like a seed! En primavera, las semillas crecen. ¡Quiero crecer como una semilla! 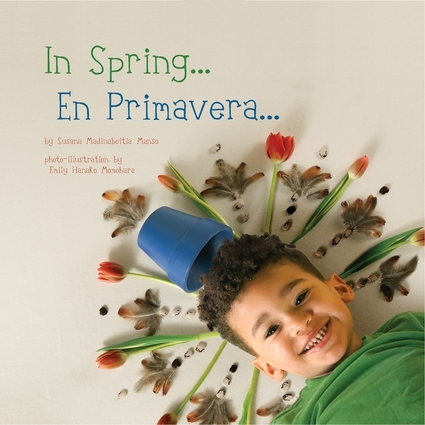 In this bilingual board book, a joyful little boy celebrates all of his favorite things about spring, from seeds growing to puddles splashing. Susana Madinabeitia Manso is a Spanish teacher and translator. She received her Masters of Arts at West Virginia University and now teaches Spanish at Miami University. Emily Hanako Momohara is an artist and academic in photography and video arts. She received her Masters of Fine Arts at the University of Kansas and now teaches at the Art Academy of Cincinnati as an Associate Professor.